On FoodBlogCT, we want to introduce our readers to the huge variety of restaurants in Johannesburg – unique experiences; different cuisines, different places to fall in love! 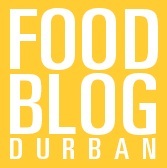 Having started in 2009 with only a few hundred readers a month, the community has now grown to over 266,000 members on various social media platforms and the www.food-blog.co.za website generating more than 150,000 page views ever single month. Communities are set up for Cape Town, Pretoria, Johannesburg, Durban, Lowveld and the Garden Route. We love hearing from our readers. Please let us know about hidden gems in your city that we should try and feature. If you represent a brand or restaurant, please find more information about our marketing support for restaurants or brand media packages by following the links. Each year, the Fry’s Family Food Company hosts an Annual Green Meeting (AGM), styled as a vegan and vegetarian foodie festival around South Africa. This year it is to be held in Durban on the 28th of July and we’d love to have you part of this great day. If you’re interested in attending this event, please RSVP for yourself and your partner. One major campaign objective is to create awareness around meat free nutrition and the importance of lifestyle knowledge sharing with the public. We hope this can inspiring change in us as well as among the general public. With that said, could you kindly send us your details for a special package delivery, that should be at your doorstep in the next few days. My name is Shakira. I am the manager of Freedom Cafe. Please note Freedom Cafe is under new ownership – menus have changed and we no longer serve alcohol .May i kindly request that you remove the post and menus from your site . You can get in contact with me to discuss the way forward where we can give you updated menus and info. you require. Hi, me and my extended family will be spending the Festive Season at The Knoll Historical farm, as I am new to the area, I was hoping to get a recommendation for Christmas Lunch. We will be 8 adults and 3 kids in total for the sitting; and are a happy relaxed family with young kids that like to play. Could you please assist me with a restaurant or bistro you recommend we book for lunch on the 25th?